‘Miong’ was originally written in 1999 by Joy Virata (with additional lyrics by Freddie Santos) and music by Ian Monsod and originally directed by Zenaida Amador. 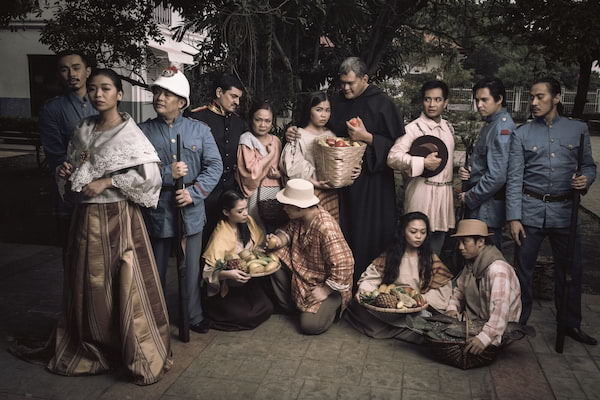 20 years later, REP restages the musical about Emilio Aguinaldo’s life and directed by Joy Virata herself, who has cut out a full hour from the original script to a present a “shortened, exhilarating version” according to REP President Mindy Perez Rubio. Completely sung through, ‘Miong’ is a quick run through the events of a young Emilio Aguinaldo in roughly two hours and in two acts from his childhood until he declares Philippine Independence in June 12, 1898. From his beginnings, born into a middle class provincial family all the way until his election as the first president of the Republic of the Philippines, this condensed, shorter version of the story ends up becoming a confusing, rapid succession of events that doesn’t give us a proper picture of heroism and the character behind the man who declared our country independent from Spain. There is so much starkness in this staging of ‘Miong.’ From the choices of canned music rather than live, to cutting down the cast to 30 (which makes the epic-scaled music seem small), to the bare stage that frames the story, ‘Miong’ feels empty in its exploration of patriotism. Story-wise, the 27 songs quickly runs down events in Aguinaldo’s life that doesn’t always lead up to a story that propels us to the major decisions at the end of the play. There is a whole number dedicated to Aguinaldo as he drops out of college to venture on the trade ship in the song ‘San Bartolome’ where he courts the woman Genoveva, a lovely little song number, but this whole song doesn’t carry any real context with it. This experience does nothing to inform us of who Aguinaldo is and how it relates to the decisions that he makes later on in act two. 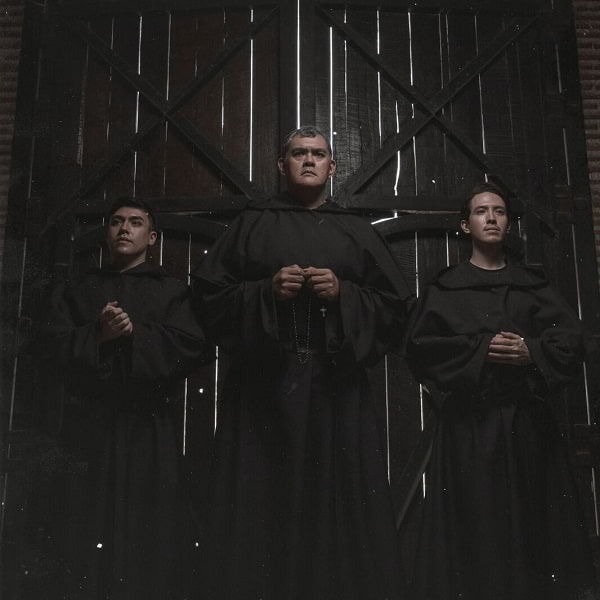 It presents the Spanish colonizers as enemies with one song number and two small instances of the horrors that they did but the play takes it for granted that they are the villains of this story. It prefers to tell rather than shows and so there is no emotional investment created in the 27 songs that tells Aguinaldo’s story. He sees his future wife Yayang, they share a song number and by the next song, they get married, and then afterwards, she wants to join him in his revolution. The music, not being live, subtracts from the intensity of these moments and while there are times when it becomes as big and as soaring as the many themes that run through them, they try to do too much and the lyrics falls short in giving this narrative breadth nor the characters any chance to explore depth. It merely scratches the surface of these moments and not really giving us the meat and bones to properly digest what we are seeing. The cast, led by Timmy Pavino, are all wonderful singers and as much as they throw their whole heart into the story, the choices of scenes and songs doesn’t give the momentum it needs for its larger scenes. An example of this is the whole argument between Aguinaldo and Bonifacio is done within two or three songs while in the midst of battle. It jumps from idea to idea without giving us a chance to take it all in. The biggest question I have, though, is the motivation behind a revival of a 20 year old musical about Emilio Aguinaldo when so much has happened since that has changed our perception of the first Philippine president. 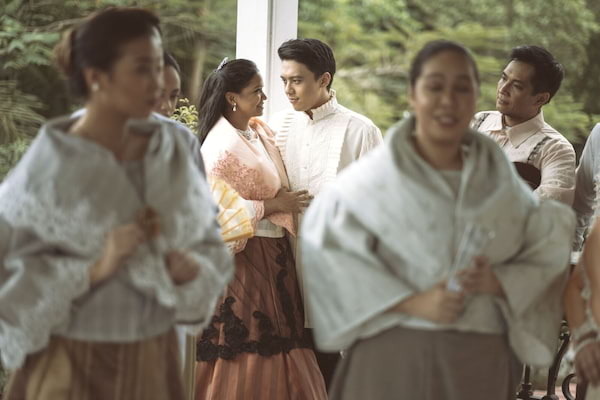 In this era of films like ‘Heneral Luna’ and ‘Goyo’ that has presented its own account of Aguinaldo’s actions, the play and its restaging doesn’t do anything to answer these new questions. It insists on an older viewpoint without adding anything new to the debate. And in this era of renewed nationalism, there is something off about an English musical about Philippine independence. The play makes use of Filipino imagery and portrays the Spanish colonisation as an evil thing, yet the characters are all singing in English while saying words like “magdalo” and “Caviteno” while interspersing Spanish chants. When the Americans come, they have song with a distinctly American jazz flair, but the fact that they are singing in the same language as everyone else, there is a textuality that feels off. By the end, when the theme of the national anthem comes in before it transitions into the finale ‘How Beautiful is Our Flag,’ it feels wrong that the song is in English while they wave the newly presented Philippine flag before the audience. For a play that is set to inspire patriotism and elicit a sense of nationalism and respect for our history, an English musical seems like the wrong move. It might have been okay 20 years ago but in 2019, it doesn’t quite soar like Ian Monsod’s original score. ‘Miong’ could have been bigger. It should have been. It needed the full production -- large sets, crowds of people on the stage, live music -- to capture the grandness of the themes that it is trying to portray. And it needed to be more than just snapshots of plot points. Heroism, especially in this day and age of political unrest and questions of nationalism and what it means to be patriotic, is not just something we gloss over in a song or a well-intentioned tableau. It’s something that must be delved into. With a country at war with itself, just like in the play, we need clearer reasons to wave our flag than just a final song number. MIONG, a musical based on the life of Emilio Aguinaldo, was written in 1998 to celebrate the centennial of the Declaration of Independence.